Order processing is one of the critical aspects in e-Сommerce business. Such activities as order creation/editing/archiving, as well as order shipping and processing refunds (if necessary), should always be organized smoothly and logically. When it comes to the above-mentioned aspects, Magento 2 is quite a good solution, because it supports the full order processing workflow, just with several limitations. Once an order has been placed (but not paid and shipped) - its status is automatically set to Pending. Then, you create an invoice from the Admin Panel, and the status is changed to Processing. Finally, when you confirm shipment to finalize the order, it gets the status Complete. With the default functionality, to modify an order, you have to cancel it, which is quite inconvenient. Say, if you make any changes to customer’s address, you would have to choose a shipping method again. If a customer used a credit card payment method, you would have to re-enter all the data. By default, you can’t edit orders that have been invoiced. Magento doesn’t allow you to delete orders by default. You can only set the order status to 'Cancelled'. Fully adjust the view of the standard Sales-Orders Grid. Display all important orders attributes without the necessity to go to the ‘View details’ page and hide any column. 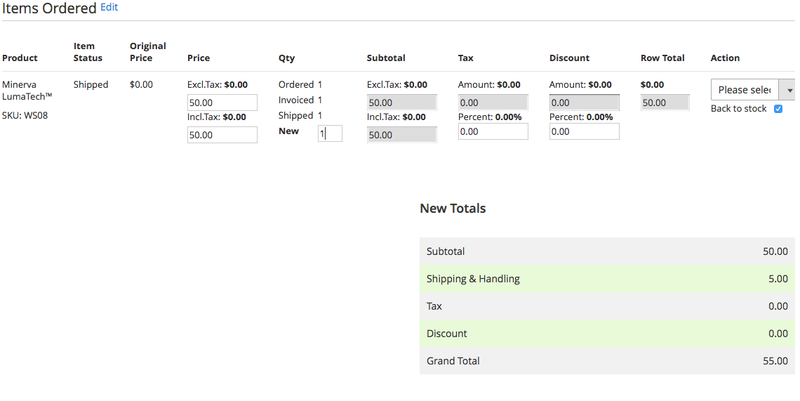 Modify orders without canceling them: edit order & product details, set a custom price, modify discount coupons, preview the order’s Grand Total. Order Management supports both Community and Enterprise edition of Magento starting from version 2.1. The current version of the Magento installed on your website can be found in the lower right corner of any backend page. Order Management has 2 separate ways of installation: via Composer or by copying the code. 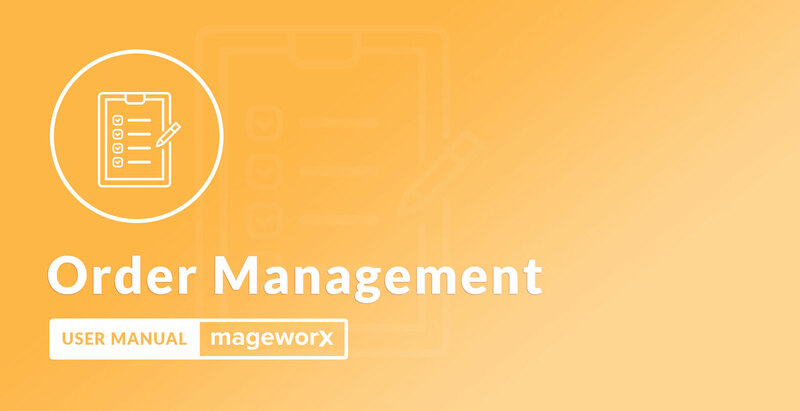 Log into the Magento Admin panel and go to STORES ⟶ Configuration ⟶ MAGEWORX ⟶ Order Management. The configuration itself consists of 3 tabs. Sync Orders Additional data – synchronization may be needed when you installed the extension for the first time or reenabled it. It can also be useful if you observe some incorrect information. Edit the Checkout Path setting if you are using some third-party checkout with the custom URL. This setting provides the correct detection of the area field. Update Invoices/Credit Memos - specify how invoices and credit memos are updated after modifying an order. Can be either Create new invoice (if possible) or Delete invoices and credit memos, create new invoice instead. The former option can be useful if orders modification history is needed, while the latter merely erases the old data. For instance, if the store owner selects Create new invoice (if possible) and wishes to add some products to the order, the new invoice will include only this product, if the product needs to be removed, then it will be added to the current order as the credit memo. If the store owner selects Delete invoices and credit memos, create new invoice instead, then all the old stuff will be removed, and the new order will be created. Update Shipments has several options: Do not touch doesn't modify the shipping costs, Add new shipment is used if shipment modification history is needed, Delete shipment(s) and create new erases the old data. Recalculate Shipping Amount Automatically applies new shipping amount automatically after the shipping address or ordered items are updated. Log into the Magento Admin panel and go to Sales ⟶ Operations ⟶ Orders. 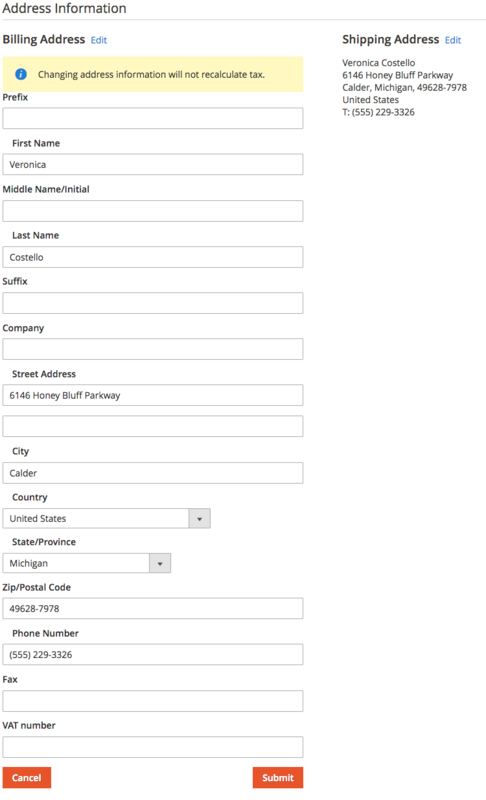 We add the Customer Id column here. 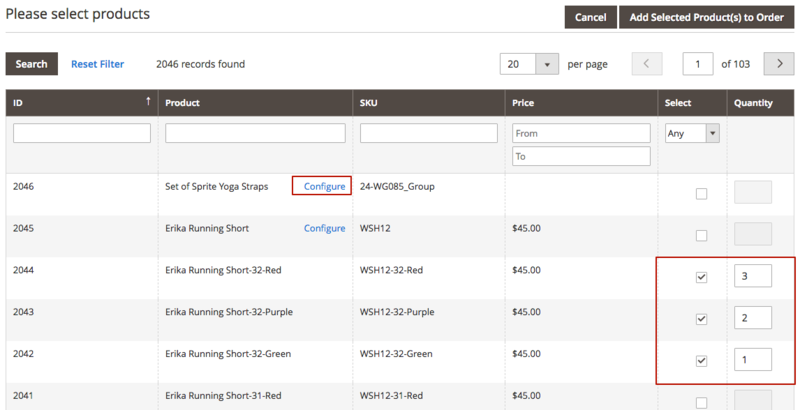 Magento 2 out of the box provides several actions for the sales-orders grid. Magento 2 Order Management extension significantly extends the number of these actions. On the left, the default order actions are shown, on the right - the ones provided by Order Management extension. The Complete action provides the ability to directly complete any order without any intermediate step. The Delete Completely action physically removes orders from the database. 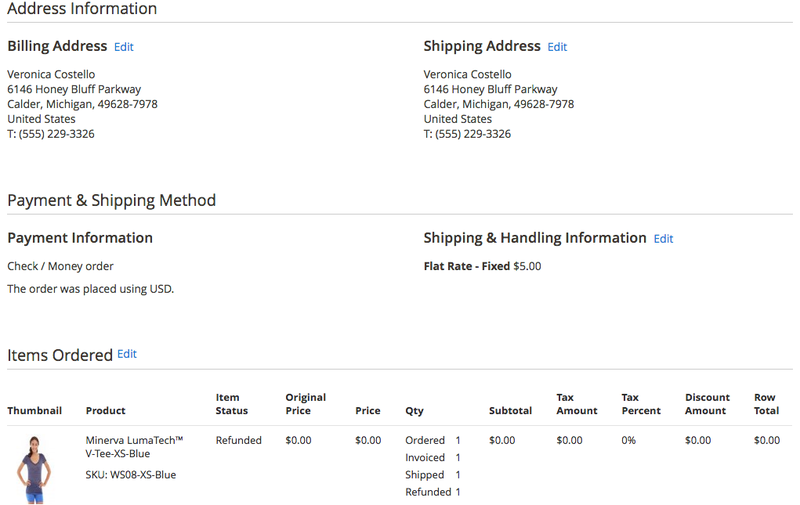 They allow resending the order, invoice and shipment emails accordingly. The order information is gathered into several groups. Click the Edit link near the order number to modify the date of the order. The store administrator can edit the order status here as well. 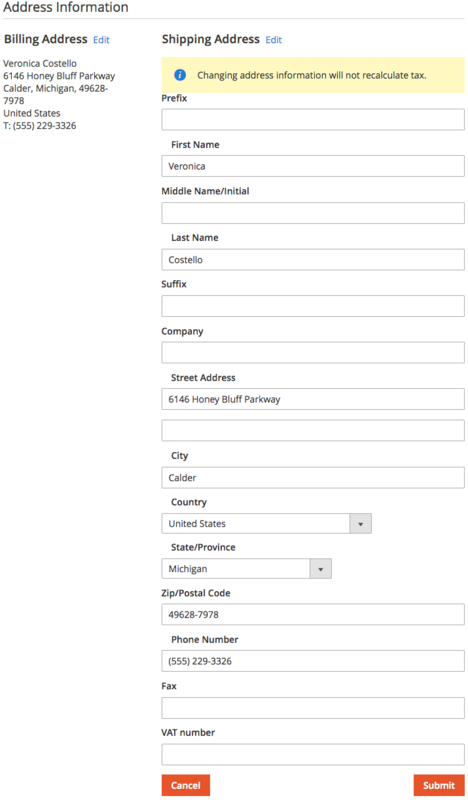 Here, the store administrator can observe the extra fields: Device shows the client's device and the Area provides the information whether the order was created from frontend, backend or API (REST or SOAP). If you are using the third-party checkout, the Area field can show the incorrect API detection. To avoid this, edit the Checkout Path setting in the Orders Base configuration. Click the Edit link near the Account Information to edit the personal information. Click the Select a Customer link to change the customer. Click the Edit link near the Billing Address to modify its details. Bear in mind that changing address information will not recalculate tax. Once you are ready, click the Submit button. Click the Edit link near the Shipping Address to modify its details. Bear in mind that changing address information will not recalculate tax and shipping methods. Once you are ready, click the Submit button. Click the Edit link near the Items Ordered to modify its details. You can change price, quantity, tax, and discounts. Once the store owner performs the changes, the popup with the new payment information appears below the products grid. Any product can be deleted with the possibility to increase the quantity of this product in the inventory or not. If more products need to be added, the store owner can click the Add Products button. In the grid, you can add any product and specify the ordered quantity. When you are ready, click the Add Selected Product(s) to Order button. For the configurable products, the Configure button appears near the product name. When clicked, the pop-up appears with the possibility to add any simple option and specify its' quantity.